From the moment we met Simone and I have got along really well and found that we’re both on the same occupational wavelength. We could literally talk for days if left to our own devices. This episode we explore her new business venture including telehealth and how occupation can be implemented using it. We went deep into the realities of implementing Occupation Based Practice and the systemic limitations that become barriers. Naturally a lot of pet peeves came to the surface such as OT memes, client labels, generational communication differences. We explored the importance of routines and habits but also of developing the adaptability and resilience to cope when they’re disrupted. From that the topic of success and not recoiling from failure came up. 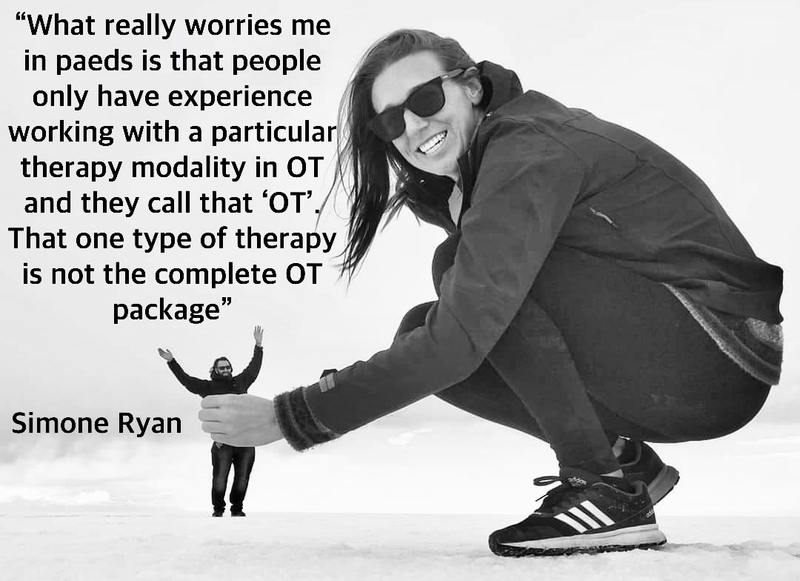 We then discussed how OT’s can often let fear hold them back from breaking the mold and doing something truly innovative or scary. Of course it wouldn’t be a Rocket OT podcast without discussing the Regulation Rocket and self regulation. Like i said at the start, Simone and I could talk forever and we’ve decided that we will record again. Expect and episode in the future that explores the professions over reliance on “independence”.